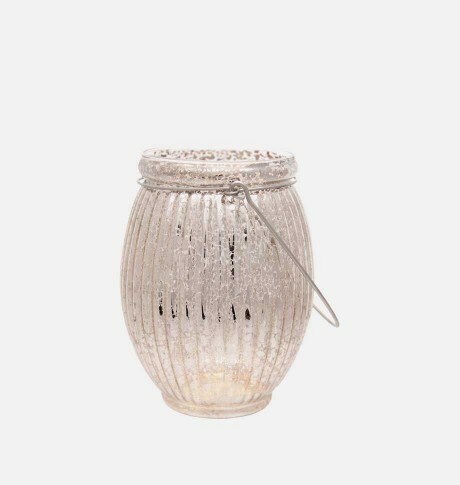 This Tealight Lantern is a beautifully hand blown silver mirror ribbed lantern. Suitable for tealights. Simply hang or place in your home as a chic decoration.